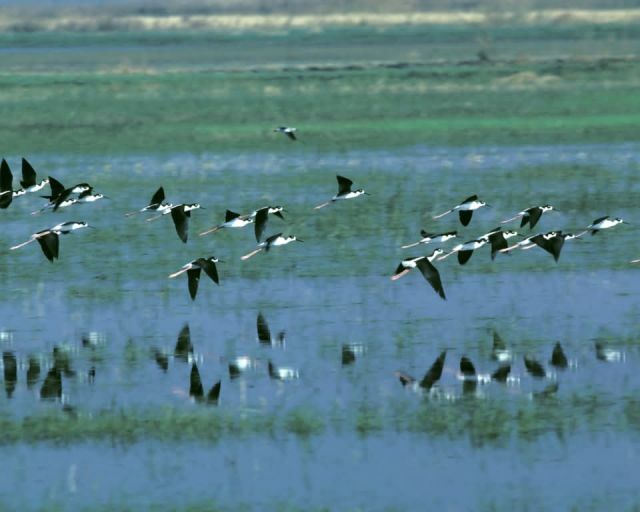 Nearly the entire western population of black brant, 200,000 strong, stops at Humboldt Bay Refuge to feed on the abundant eelgrass during migration. Black-necked stilts, such as these, are among the many shorebirds and waterfowl that are found here. Several hundred harbor seals haul out here in midwinter to bear their young.